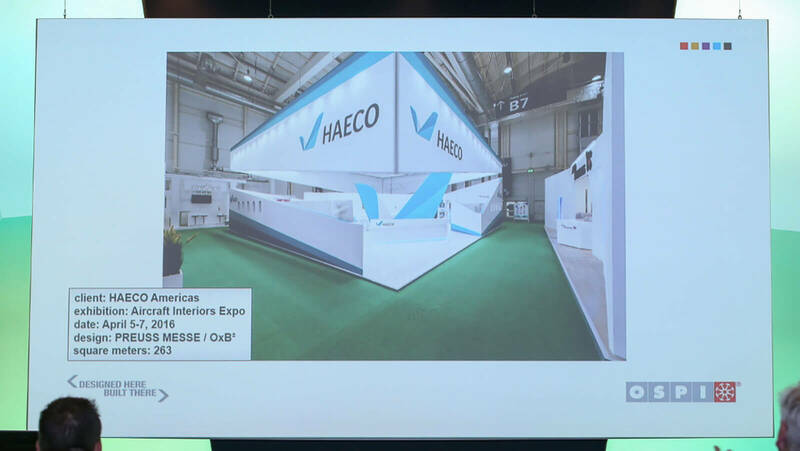 The trade fair booth conceived and implemented by us at the AIX in Hamburg for American company HAECO is prizeworthy! That is according to the 211 representatives at this year’s OSPI Meeting in Vancouver, Canada, who voted the 263 sq. m booth into second place in the over 200 sq. m category. Naturally, we are bursting with pride! Our managing director, Sabine Lewin, accepted the prize: ‘Of course, we are delighted! 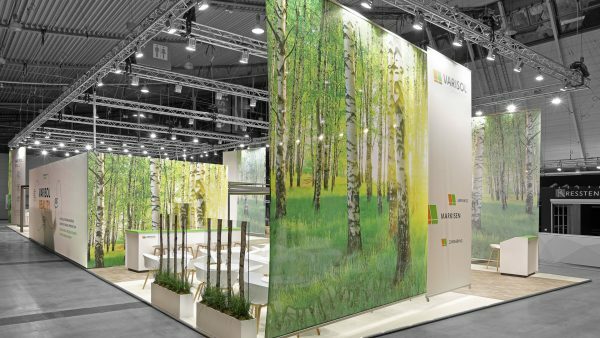 The prerequisite for submission of the booths was that the trade fair booth had to be an OCTANORM-compliant construction. We have once again proved that we understand what is required of us in terms of design!’ Receiving the silver medal in competition with the 30 concepts entered in the category is high praise and, at the same time, motivation for future efforts! Satisfied customers, satisfied partners – what more could you want? You can see more of the booth here: http://www.preuss-messe.de/messebau-refenzen/messestand-haeco-aix-2015. 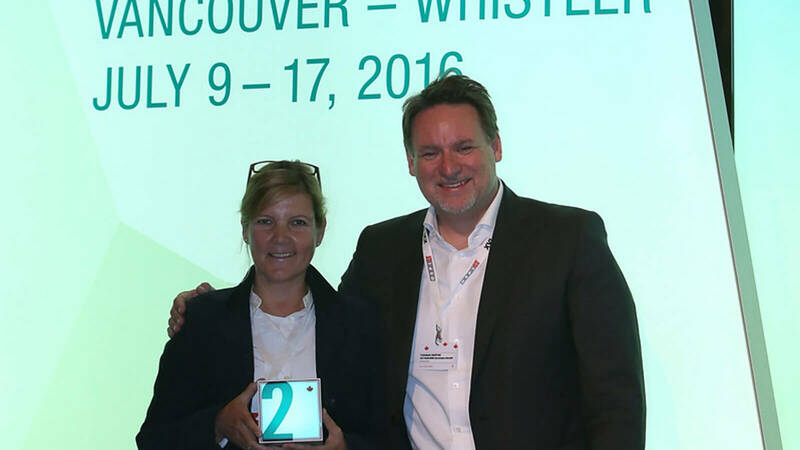 What else was new at the OCTANORM Service Partner International meeting? 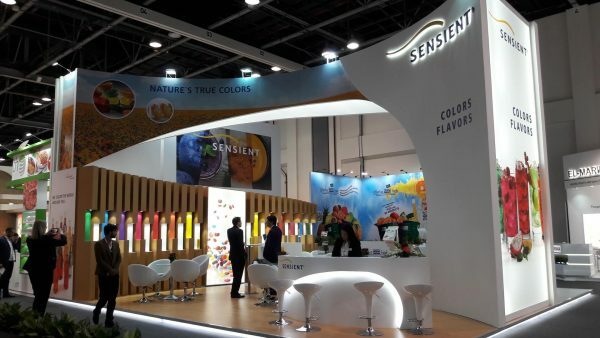 The latest product and industry developments, discussion and information about the trade fair business in different countries, establishment of new relationships, and team building. 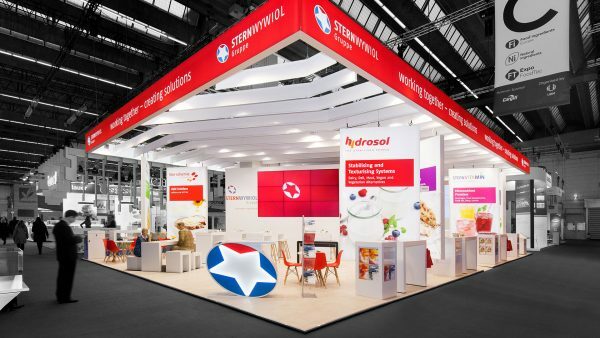 Worldwide, around 150 trade fair constructors from 50 countries have joined forces in order to provide the very best quality for customers at all trade fair sites around the world. A concept that pays off – not least for the customers. And you can find out more about the OSPI principle ‘Designed here – Built there.’ via this link: http://www.preuss-messe.de/messebau-international/.